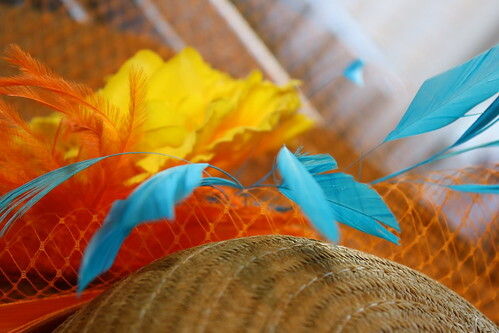 KY Derby Hat Workshop April 30, a photo by E. Magee on Flickr. 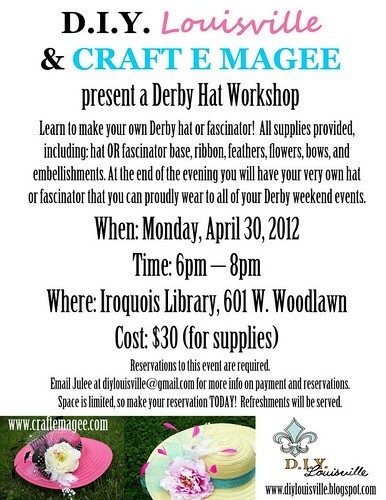 I'm happy to announce that DIY Louisville and I are putting on a Derby Hat workshop at the Iroquois Library next Monday, April 30, 2012! 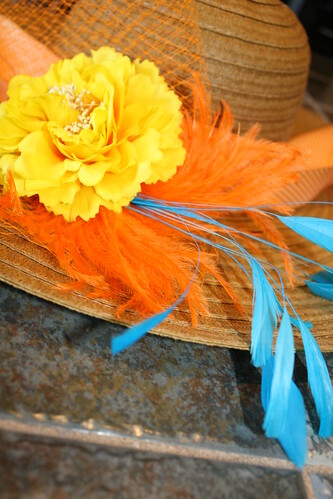 For $30 we will provide the hat (or fascinator base) and supplies for you to make a fabulous Kentucky Derby hat fit for Churchill Downs! 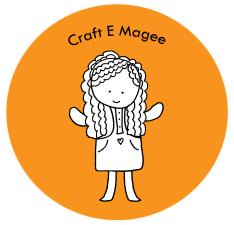 Plus, we will be demonstrating techniques and helping you create a work of art every step of the way! Reservations are required! 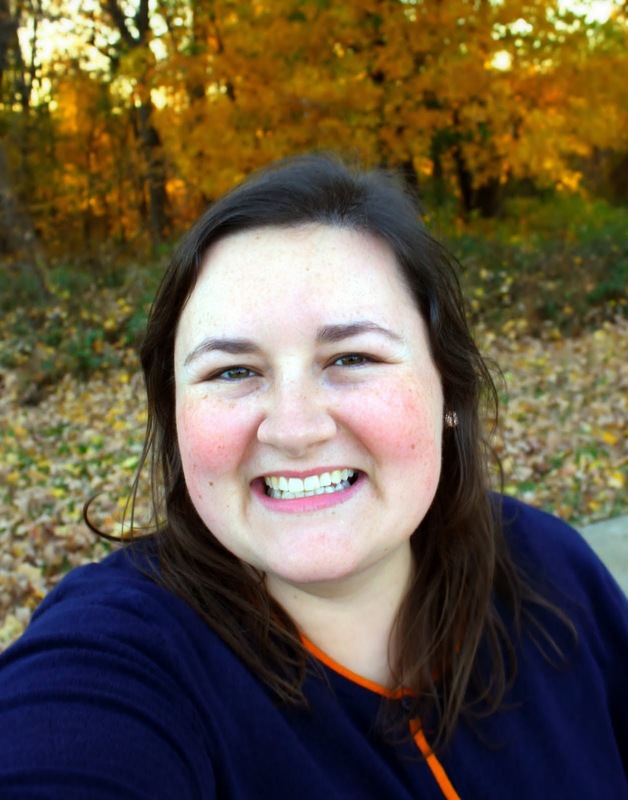 E-mail Julee at diylouisville(at)gmail(dot)com. Let's get down and Derby! Did you guess what my next project will be? Here is a hint! It has a bow! I made this video to demonstrate how to make your own pretty gift bow. 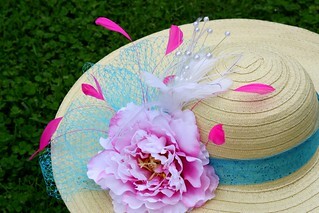 You can use any type of ribbon from silk to plastic. 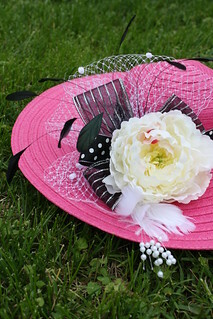 It is very simple to make and you will only need 2-3 yards for each bow. Can you guest what my next project will be? 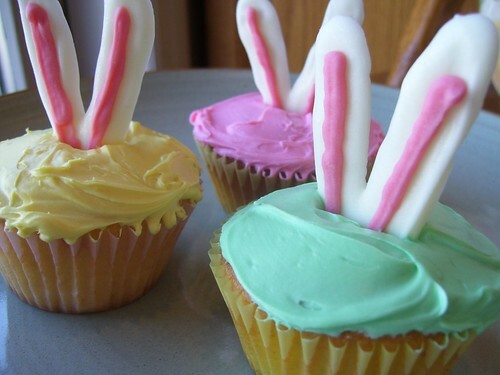 Hope the Easter bunny brought you something awesome! 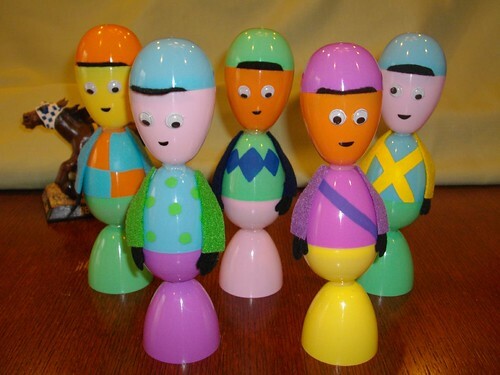 Don't forget to save your eggs so that you can make these guys!